For two years now, I’ve led a decade of the Rosary at a Youth 2000 retreat in my motherland’s native tongue: Tagalog (Filipino). Both times were nerve racking because I don’t speak it fluently, and here I am reciting it for a thousand high school students. But I take comfort knowing that the Filipinos-per-square-foot number was relatively low at both Youth 2000s so I felt a little less embarrassed, haha. I remember a year ago, I really wanted to learn the Rosary prayers in Tagalog because I thought it would be cool, and that it would help me learn Tagalog a little more. I almost had the Hail Mary memorized! 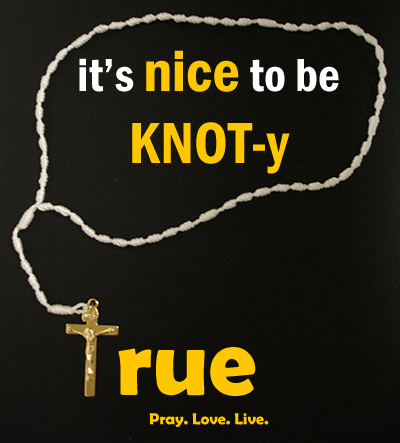 Praying the Rosary in a completely different language is cool. It really helps you focus on the meaning of what you’re praying. I think whenever I pray the Rosary in English, I tend to go through it without much thought and reflection on the Our Fathers and Hail Marys because I’m so used to them in English. While still focusing in the Mysteries, of course. Though, I think it’s only fruitful to pray it after getting used to the prayers in whatever language, otherwise you become too fixated on pronunciation and whatnot and that would make it harder to focus on the Mysteries. And the other cool thing is… it’s a neat thing to know that since our faith is universal, there are Catholics around the world praying the Rosary in their native tongue, but the goal is the same no matter what: to reflect on the life of Jesus through Mary. Next goal: Rosary in Latin. And here’s a good website for the Rosary in different languages. Faith. Hope. Charity. Pater noster.